Mark, thanks for creating this. InfoPath form deployment has been a big problem and this utility makes it easy! Thanks Ethan for your comment and a big thanks for mentioning this in your MSDN article in the May 2008 edition. I’m new to InfoPath and was wondering this too. Well… this is a clear answer! Thank you. Let me know if you want me to post some of my code. Jason, I would be interested in what you have to share? I have one infopath form that i have deployed. The form now is running as expected. 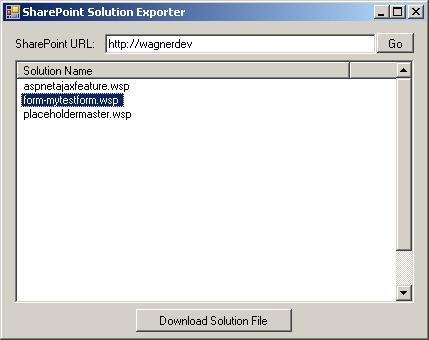 However when i am trying to “export” the .wsp using your tool, i can’t find the file nor find it in solution management file. is this a bug or i have deployed my form incorrectly? How to check Solution Name? I am not sure to select my solution from solution list in Solution Exportor. Because when I deployed InfoPath Form to the server, I use Central Admin to deploy my form (Manage Form Template section). How can I choose correctly my Solution from solution list in Solution Exportor? I want to know, if I want to include automatic creation new site in this solution file when I deploy. How can I do it? Re: How to check Solution Name? 1) Start the Solution Exporter before you add the your new form to SharePoint. 2) Using a peice of paper, note the solutions that start with “forms-“. 3) Then, add your form to SharePoint using the Manage Form Templates. 4) Now, refresh the list of solutions in the Solution Exporter list. Your new form will be the newly created solution that begins with “form-“; the only form missing from your hand-written list. Thanks a lot for the tool, Mark! 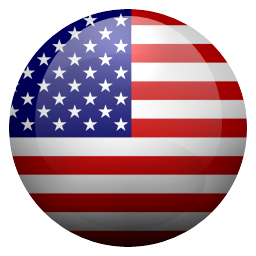 Hi I just came to your blog is very interesting tool to export the solution. There is a way to link to download this tool and I need to extract a WSP for the site and do not have installers.